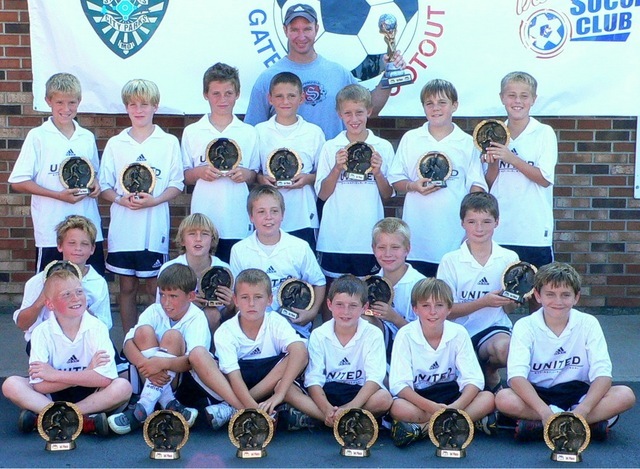 Champions U11, Gateway Classic, September 2004. 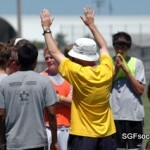 1st tournament after merger of United, Soccer Select, and Cobras. An opportunity to look back while looking forward. First, check out this early Springfield SC U11 squad with their Gateway Classic championship trophies from September 2004. This was the first tournament they played as U11’s after the merger of three Springfield teams; Springfield United, Springfield Soccer Select, and Todd McCutcheon’s Cobras. Thanks to Duane Moses for sharing the photo and Debbie Loyd for helping me pull this together. Now I need some more help, let’s complete this roster. Front Row: Dallas Moses, ?, Drew Kennedy, Evan Craig, Matt Call, ? 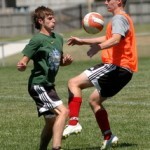 The three Evan’s of the SSC 94 Red Team… Evan Garrad, Evan Craig and Evan Loyd will all be playing next year in the GLVC. Garrard at UMSL, Craig at Rockhust, and Loyd at Bellarmine. 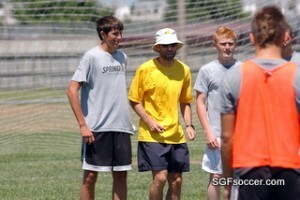 They began playing together on a U8 Team, coach by Rich Garrard and Tim Flavin, known as Springfield Soccer. Then on and off for years together on the SSC 94 Red team. 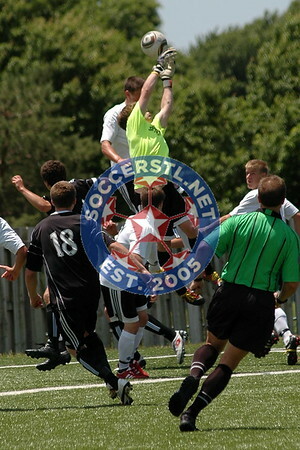 Evan Craig, who joined the #1 ranked Raytown Billy Goat squad after helping Springfield SC win the State Title in 2011. 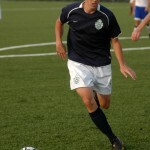 The team lost to SLSG Elite in the 2012 Final but as noted go into this season ranked first in the State, as the defending champion SLSG Elite squad has joined the NPL and will not compete in State Cup this Spring/Summer. 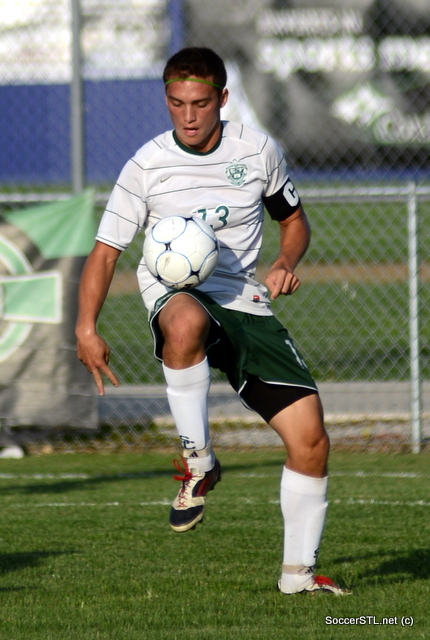 He was named to the Class 1 All-State 1st Team and 1st Team All-Ozarks in 2012 .Evan is also a member of the Region 2 ODP Team. 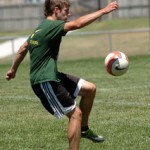 He was named to the Region 2 roster for the 2012 Boys NCAA Interregional which took place in Birmingham Al, in December 2012. He is still using the trophy pictured to hang the many medals he’s earned. 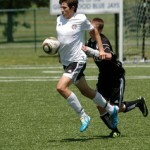 Evan Garrad joins the UMSL Tritons from Glendale and Springfield SC. 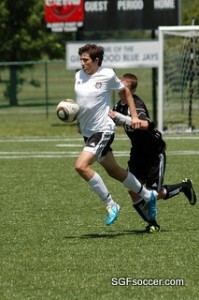 A captain for the young Falcons, he moved into a central midfield role this year following three years on defense. The Falcons earned a District title before falling to Kickapoo in the Sectional game. 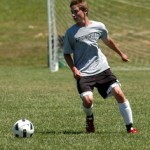 Evan was named to the Class 3 Southwest Region 1st team and All-Ozark Conference 1st Team as well. 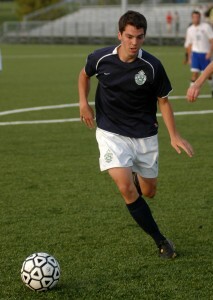 The Tritons reached the GLVC Championship last year, falling to Rockhurst. I know he’s got some academic chops and UMSL offers a nationally recognized school of optometry that is being considered. 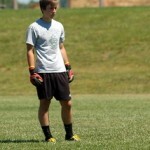 Evan Loyd, goalkeeper for the Greenwood Blue Jays, also earned a State Championship with Craig and Garrad with Springfield SC. He’s since moved to Total Demize SC where he’s been honing his craft, including the recently competed Futsal Regional Tourney. Evan was named to the Class 1 All-State 2nd Team along with Southwest Regional honors. He joins the Bellarmine Knights, who finished 4th in the GLVC in 2012 on a team with a large St Louis influence. Bellarmine is located in Louisville, KY.
All three players have been named to the 2013 All-Star game roster as well. The Southwest Missouri All-Region team for Class 1 has been announced. The Region includes Districts 9, 10, 11 and 12 encompassing 18 teams. Voting is done by the Coaches. Recognition for Conference, Regional and State awards is done by members of the Missouri State High School Soccer Coaches Association (MSHSSCA). The Springfield Catholic Fighting Irish represented the Region at the Final 4 while going on to earn their second straight Class 1 title. 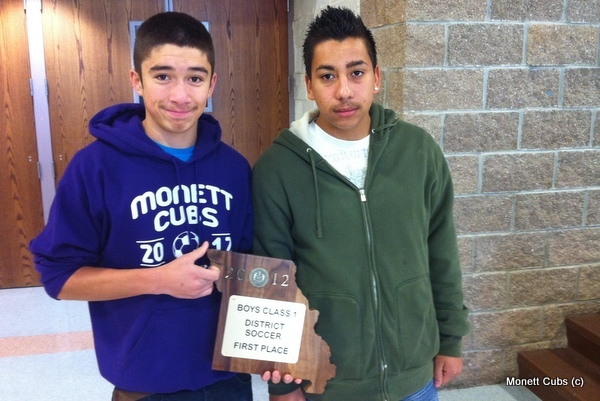 District winners included the Crocker Lions (9), Sacred Heart Gremlins (10) and Monett Cubs (12). The Springfield SC 94/95 Boys, fresh from their State Championship at the Missouri Cup last Thursday, are enroute to Appleton WI today to compete in the Region 2 Tourney. Part of the USYSA National Championship series, their State title sends them to this regional round with the regional age group winners then advancing to the National Championships in Phoenix next month. 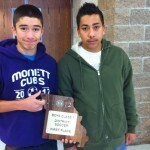 The second team in Springfield Soccer Club to win a State Championship (the 90/91 age group won as 16 and 17 year olds in 2007 and 2008), they will be exposed to the Regional tournament for the first time. The tournament runs June 24-29 and like Cup will include a Group stage followed by knockout rounds. The team is part of Group D and the draw has some good news and some bad news. The good news is the opening match is against a team much like SSC, a first time competitor that comes from a program building new traditions in a state where FC Milwaukee is the dominant program. Waukesha (Wah-ka-shaw) is a western suburb of Milwaukee and where the highway turns North to Appleton. The other portion of the good news is the top-ranked team in the pool is Everest SC Black, ranked 5th in Region 2, but a team that SSC won’t have to face until they’ve played two prior games. That gives them the opportunity to become familiar with the environment, gain confidence and have current scouting reports on what will be the most difficult game of the tournament. 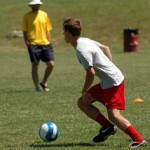 To get out of the group generally requires avoiding a loss and the first game is the most important. A loss in the first game is the most difficult of hurdles and avoiding Everest in that first game was the first piece of good fortune the boys will need. As the interview above notes, there is a quiet confidence and this is a good team with pace, a strong defensive will and enough inventiveness to be dangerous on this larger stage. Coached by Eric Sorlie and Michael Seabolt from Missouri State (pictured in the white hat), I hope to have regular updates on their results. There are several other local players competing this weekend as well. Emily Cline (Drury/Glendale) and Shelby Hatz (Drury/Catholic) are playing for St Louis Scott Gallagher at the U18 age bracket while Molly Brewer (Glendale) is playing for SLSG at the U17 age bracket. ESPNrise.com did a preview of the Girls bracket that includes the KCFC Alliance squad that includes six players from the State Champion Liberty Jays. Regional Champs at U13 and U15, this is likely the last time these girls will play together and like the State tournament, their goal is to win the trophy. The Springfield Soccer Club hosted the Blue Valley SC (KS) this afternoon at the Greenwood Stadium field at the Cooper Soccer Complex. The final game of the regular season, the local boys needed a win or a tie to ensure they would remain in the top-flight of the Midwest Regional League for a second straight season. 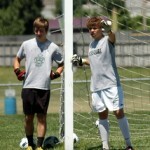 They ensured that with a shutout win today. The game was scoreless at halftime with limited opportunities as the teams played conservatively and controlled. That changed in the second half as both teams came out in a more aggressive attacking mode. 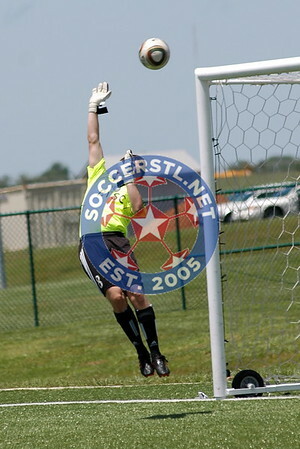 SSC came close in the first five minutes when Nic Bauer (pictured) snapped off a quick shot from close range that the keeper was able to push over the crossbar. Soon after, a simple ball to the left side sent Bauer deep into the offensive end where he was able to beat his defender on the endline and move towards the box. As the defenders converged, his square ball was touched and redirected through the six yard box by his teammate ?. 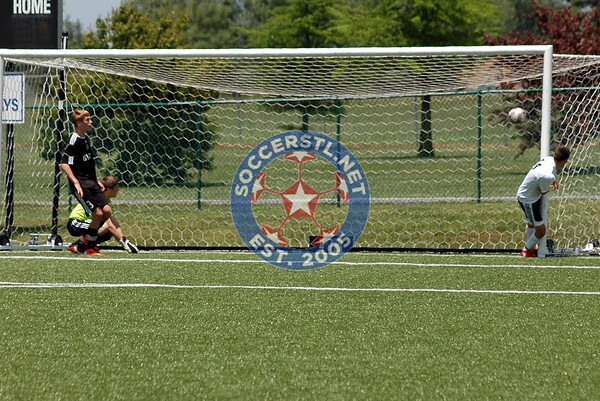 As the ball rolled across the face of the goal, all the BVSC GK could do was watch as Andrew Schenk (Nixa 2013) ran onto the ball and buried it at the far post for the game-winner. The result was not ensured as BVSC pushed forward and were especially dangerous on set pieces but GK Evan Loyd (Greenwood 2013) was up to the challenge as was his defense. 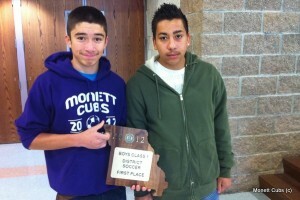 The team, who are ranked 1st in Missouri in their age group, are ranked 21st in Region II. They advance along with the Eclipse Select (IL) who are ranked #4 in Region II and reached Regionals last year, Galaxy Blue (IL), MN Thunder Academy 95 Blue (MN) who were State Champions and Regional Finalists as well as Madison FC Gold (WI) who were State Champions, in the top flight next year. 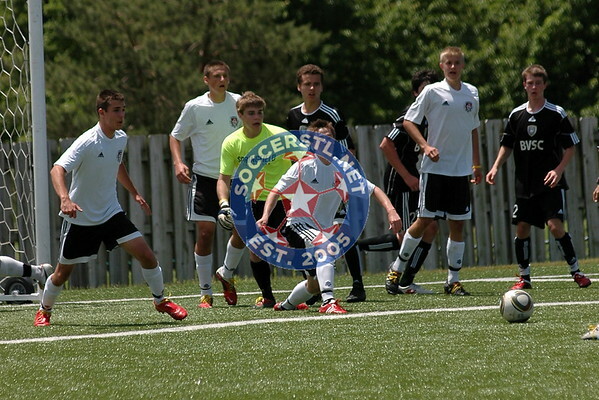 The final challenge this season will be to take their ranking into the Missouri State Cup, scheduled for June 11-15, and win only the 3rd State Championship for a team from this region. 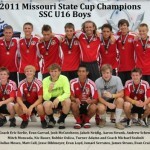 They would join the SSC 90/91 squad that won two titles and included Devon Newport and Graham Basecke (SLU), Ryan Moses (Missouri State) and Ian Kennedy and Ryan Squires (Wm Jewell) among others. 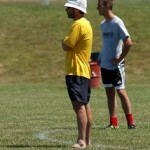 Springfield SC will be holding Tryouts June 20-22 this year.